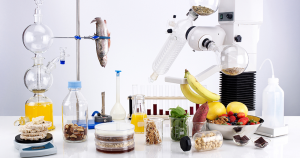 Home Features Guest blog Biohacking; What would you upgrade? As much as ‘biohacking’ sounds like some weird futuristic term, we’ve actually been biohacking for years and it already affects vast areas of our lives. Selective breeding (breeding organisms with desired traits/genes whilst not breeding those lacking the trait) can be classed as biohacking and we started doing that over 12,000 years ago! We’ve biohacked pets, plants, food, medicine and ourselves. So what’s next? Let’s consider one of the sub-genres of biohacking, called grinder biohacking. Grinder biohackers (or grinders) are people that alter their own bodies by implanting technological/cybernetic devices or introducing chemicals to enhance or change their body’s functionality. One of my favourite grinder biohackers (and where my interest in this subject started) is Neil Harbisson. Harbisson was born with an extreme form of colour blindness that resulted in him only being able to see in shades of gray. 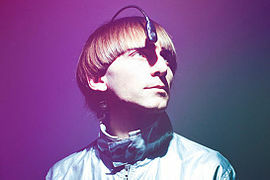 In 2004, Harbisson had his cyborg antenna permanently implanted – a device which allows him to ‘hear’ colours as sound frequencies. 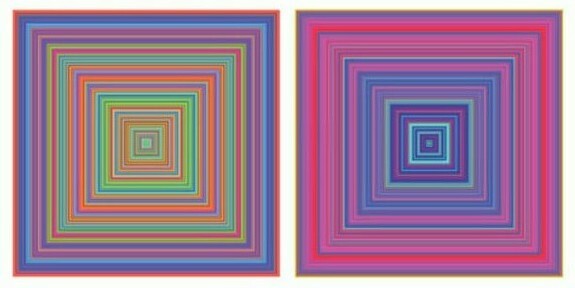 Inside Harbisson’s head, each colour has a different sound. Harbisson will be the most flamboyant person at a funeral – dressed in turquoise, purple and orange he might not look the part but he certainly sounds the part, wearing B minor. Harbisson has also spent time transcribing famous speeches into their equivalent colours and creating sound portraits – a sound file based on the different colour tones of someone’s face. Another example of a grinder biohacker is Moon Ribas – a cyborg dancer who has implants which allow her to feel earthquakes as they’re occurring. The implant, which was first implanted in her elbow and is now in each foot is an online seismic sensor which has been named the Seismic Sense. The Seismic Sense creates vibrations whenever an earthquake occurs anywhere in the planet and Ribas transposes these vibrations on stage, using either sound or dance. In 2010, Neil Harbisson and Moon Ribas founded the Cyborg Foundation – an international organisation that aims to help humans become cyborgs, defend cyborg rights and promote cyborg art. 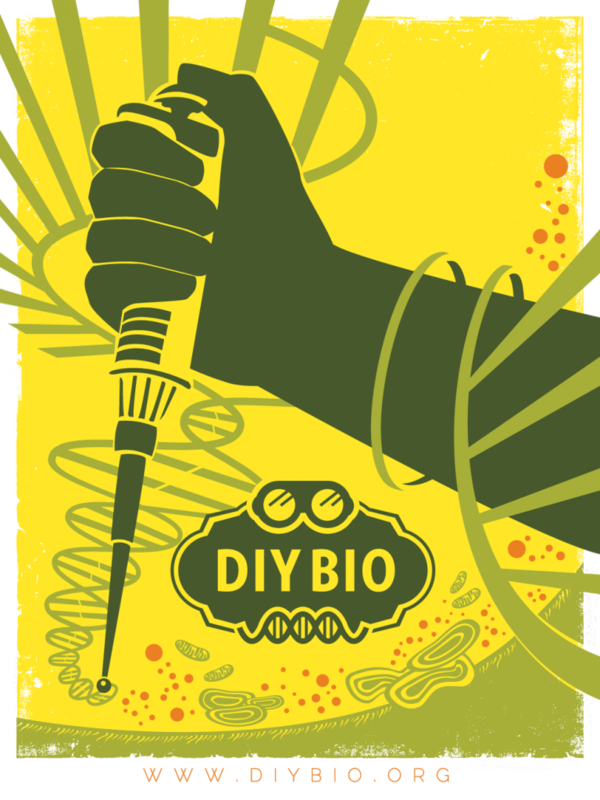 Whilst Harbisson and Ribas are probably two of the most well-known and well-documented grinder biohackers, there are many more examples. The community of grinders is small but growing; however biohacking technology is in its infancy and many of the devices used are still crude. Microchip implants – Devices which generally store and transmit data over a magnetic field. These can be used to replace the need for electronic access devices, payment cards, work/travel/gym passes etc. According to estimates from the biohacking company Dangerous Things, between 50,000 and 100,000 individuals have microchips implanted. Grinder biohacking has the potential to develop into a huge culture with different sub-genres for different types of upgrades. In a way, it already has – technically something as ‘every day’ as a vaccination could be classified as a ‘grinder biohack’ as it involves introducing chemicals into the body to enhance or change the bodies’ functionality. However, I think the terminology will remain a relatively niche word, generally associated with individuals performing biological experiments on themselves. Grinder biohacks are invasive – if you’re implanting a foreign object into your body, there’s always the risk of infection or rejection and if you’re introducing new chemicals into the body then it can be very difficult to predict what the results might be. We often see reports of companies that have been hacked – confidential digital information being accessed without authorisation. The greater the amount of digital information there is stored in one place, the greater the risk is of the device being hacked or potentially physically removed by force. I think we’ll see grinder biohacks for non-medical purposes (such a microchips and ‘biological upgrades’) becoming much more widely available in the relatively near future. Body modification is a service that can already be found in some tattoo parlours and piercing establishments and includes modifications such as tongue splitting, ear reshaping and corneal (eye lens) tattooing. The legality of body modification however, is not at all clear because there are no laws or licenses which regulate body modification (tattooists and piercers are licensed and regulated by their local authorities). Body modifier, Brendan McCarthy, was recently charged with several counts of grievous bodily harm even though his clients consented to the procedures, which were carried out on a licensed premises. It feels like grinder biohacking should be the next step of human evolution but we don’t seem to be entirely sure where to go with it. Microchips are a novelty but I think there are too many privacy, morality and security issues to see them go mainstream at the moment. In addition to these issues, unless employers/companies decide to finance additional security/access/payment systems for microchip wearers, then you’re very limited on where you can use them. 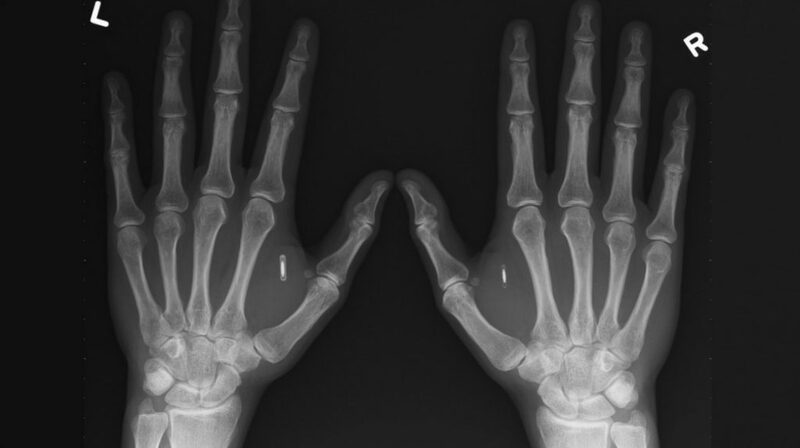 I could see us progressing to a system eventually where we would all be using similar microchip and scanning/receiver technology but users would have the option of either having the chip implanted or having some method of carrying it externally. However, the security and privacy issues surrounding digital data and transmitters would need to be seriously addressed before this comes anywhere close to being a reality. On a small scale though, I think microchips could be really useful – I’m all for the idea of being able to transfer £20 to an account that’s linked to my chip and being able to use it at gigs/festivals – places where wallets are more likely to get lost or stolen. I think with microchips (as with a lot of digital data issues) it all comes down to personal values and the risks that you’re willing to take for the sake of convenience. For the grinders that biohack as a method of creating art, it’s certainly an interesting new form of expression and implanting LED’s ‘so you look like Iron Man’ is briefly entertaining but personally, I think with the level of technology that’s required and the risks associated with it, it makes more sense for grinder biohacking to have more practical applications. I think the greatest implications of the grinder biohacking community are going to be in the fields of medical/healthcare technology – especially with work from people like Kevin Warwick who is experimenting with linking nervous systems to computers which could be beneficial for people with damage to their nervous system or creating prosthetics that people can ‘feel’ (neural prosthetics are currently in development). Another healthcare related area of grinder biohacking that we haven’t really touched on is gene therapy. We haven’t seen any success stories yet but some grinders have injected themselves with untested gene therapies (In 2017, Tristan Roberts injected himself with an experimental therapy to treat HIV). This is an area that could cause a huge amount of problems (medically and legally) if it’s not regulated carefully and grinders start selling ‘cures’ or ‘genetic upgrades’ online.